ARC-ART provides a variety of services tailored to fit your modern design needs. Space Planning, Construction, dedicated customer service, all coming together to create a one-of-a-kind home. 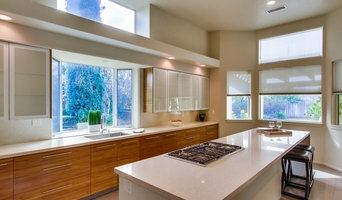 Europe Construction is the premier home design and remodeling expert in Southern California. The company is staffed by professional experts who have years of design, construction, and remodeling experience. We specialize in a wide variety of different home improvement areas, such as kitchens, bathrooms, family rooms, media walls, fireplaces, flooring, stone countertops, and much more! Courtesy and efficiency are guiding values for the company and we ensure that every job reflects our commitment to your satisfaction. Carmel Valley Contracting is a locally owned and operated, full-service general contracting firm. We have been serving families and businesses in North County San Diego since 2005. We specialize in creating stunning kitchen and bath remodels, and can handle all your plumbing, electrical and other repairs also. Murray Lampert Design, Build, Remodel is a 4 generation design/build contractor specializing in Room Additions, Second Stories, Kitchens and Major Home Renovation/Remodeling. It is our pleasure to assist individuals & families to help them create their most authentic & dream lifestyle by starting with their home. We are your one source towards your dream home! Janks Construction is a boutique, detail-oriented construction firm specializing in kitchen and bath remodels. Their beautiful work can be seen throughout San Diego. 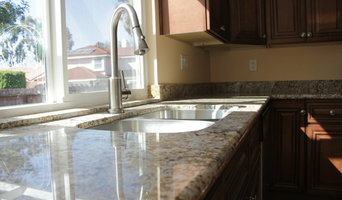 CRS Builders provides full service licensed general contractor dedicated to serving our clients throughout San Diego. We separate ourselves from competitors by bringing you the best in customer care. Welcome to the online home of San Marcos Wood Products Inc., San Diego County's established leader in custom-built, high quality cabinetry, casegoods and accessories for over thirty years. 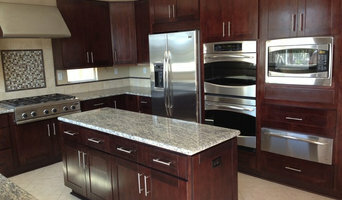 We specialize in the fabrication and installation of high-end, high quality Custom Wood Cabinetry, Multi-Use Entertainment Centers, Computer Workstations, and a range of unique garage and space organizers for homes, offices, and large commercial buildings. The process couldn't be more simple: Simply select from a wide variety of basic designer architectural styles and elements from our online catalog (just to give you a small idea of the wide range of products and services we can offer you) then put on your designers hat and give us a call. We'll team you up with one of our in-house designers to help you create your own unique space your own way. Your home is the most important investment you'll make, so protect that investment with the charm, elegance and tranquility our products afford, not to mention increasing much needed organization and storage space to any home or garage. Serving our customers since 1972, San Marcos Wood Products, Inc. has over 30 years experience in both the residential and commercial fields. San Marcos Wood Products, Inc. is located in San Marcos, California, and serves all of San Diego County and Southern Riverside County We are confident that you will find our range of products and their quality and service to be unparalleled in the industry. Please let us know how we can further assist you with your residential and business needs. At Corke Construction, Inc., we work with you throughout the entire design project from beginning to end, and we are committed to making your dream home a reality. Since 1983, BMW BUILDERS has taken great strides to make sure that clients are not merely satisfied, they are happy. We realize that there is a difference between a house and a home, and the difference is in the details. We look at each project as if it were our own home. We also realize that the finished product depends upon solid planning and solid planning depends on listening to your dreams… a remodel or a new construction project that is much more than wood, brick, glass and paint. We listen to your aspirations. We hear your excitement at making a dream come true. We are willing to go the extra mile to establish a trusting, enjoyable, and long-lasting relationship! The “Dream Home” is not just a house; It is that place where you can live with a smile on your face and pride in your heart. Dream Homes come in all shapes, sizes and configurations. They mean something different to every person; a “dream” kitchen with space for cooking and entertaining, a family room big enough for a multi-media center, or a master bathroom with a sophisticated feel. It may be a custom home built to your needs, interests, lifestyle and taste. Whatever your dream home is, from a minor remodel, to a home built from the ground up, BMW BUILDERS is pledged to make it come true. Your job is to dream… ours is to make it a reality. San Diego Bath & Tile is a Professional General Building Contractor with the knowledge and experience to expertly complete any size construction project. Kitchen Expo collaborates to create unique designs with attention to detail, quality product selection, superior installations, and outstanding service. With over 28 years experience in Design and Construction industry we have created some of the most beautiful design's in Orange county. From kitchen & Bath Remodel to all other aspect of construction needs under a General contractor purview. We are a one stop destination and offer a professional design consultation and construction services at affordable price. By working and listening closely to our clients needs we can create the perfect setting , and the results speak for themselves. Voted one of the top design and construction firms in Orange County. 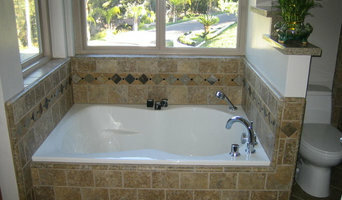 Magallanez Remodeling and Construction has 14 years of bathroom and kitchen remodeling experience in San Diego County. You will love your new place with our stress free remodeling process! Pacific Coast Residential & Commercial Builders is a general contractor dedicated to providing quality construction, exceptional, and technical services to our customers with professional integrity.